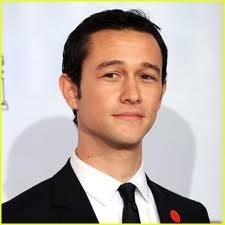 Joseph Gordon Levitt On “Dark Knight’s” #OWS Vibe. | The Cineaste's Lament. ← Elizabeth Olsen Is The Real Deal. “Q: There’s a quote in the DARK KNIGHT RISES trailer that Hathaway whispers into Bruce Wayne’s ear: “You and your friends better batten down the hatches because when it hits, you’re all going to wonder how you ever thought you could live so large and leave so little for the rest of us.” Between that, and the scenes of people protesting on the streets, people are gathering it has Occupy Wall Street themes. This entry was posted in action, Film News, Spoiler-itis, Summer Blockbusters, Superhero Cinema and tagged Anne Hathway, Christian Bale, Christopher Nolan, Joseph Gordon Levitt, The Dark Knight Rises. Bookmark the permalink.